SIGUARD column -- simple connection. SIEMENS Automation & Drives has introduced its new signalling column - SIGUARD 8WD44. The signalling elements of the SIGUARD columns, available from Ramelec , now have a new, fluted surface structure that provides better illumination. With a diameter of 70mm, the SIGUARD 8WD44 has components such as steady-light, flashing light, rotating beacons, buzzer and siren elements. The connection elements are available with improved screw connection technology in the new series. 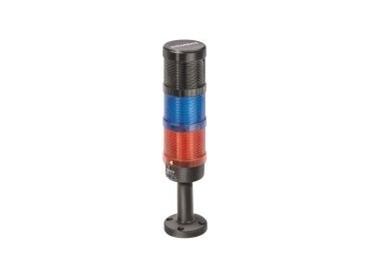 This product can be simply and quickly connected up and illuminating elements are designed to comply with IP65 degree of protection.